Lud' Aude is the ideal place for toddlers and children between 3 and 12 years to play and be creative. Children will discover the pleasure of having fun with others and with games of memory, logic, education, or just plain fun - all in a supportive learning environment. 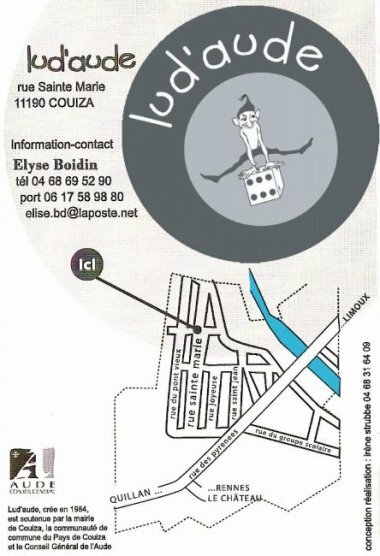 Please note that over the summer holidays Lud'Aude is only open in Couiza on Saturdays. Parlour games, for all ages and all tastes, games for two, three or … many! Fabrication of puppets and creation of tales, a time of exchange and fun. Lud'Aude animates your afternoon play (birthdays, village fairs, festivals, days of a set theme…).